To expedite the "Grand Unraveling" of the Backlog, I'm not emailing people when their bicycles are listed. I'll still be listing them right here on the main page, and I've been highlighting new entries and old favorites on the Cyclofiend blog - cyclofiend.blogspot.com - as I point out on the site, this is an adjunct to the more essay-oriented blog I've been keeping at ramblings.cyclofiend.com. If you aren't getting the update notices via Twitter, you can use the rss feed from the cyclofiend "announce" blog to keep up to date on latest gallery additions. And now, I'm also updating the new postings using Pinterest. With one quick update session, I've already equaled the amount of singlespeed bicycles which were added to the Singlespeed Gallery in 2011. Yes, it is equally humiliating and invigorating! Shawn's Schwinn Continential, Bill's Hardrock, Kenny's Urban Soul, Laurent's Cambio Rino and Brad's Schwinn World Sport. Five "new" entries, from the rather impressive backlog. David's Mario Vicini restoration, John's Schwinn Mixte restoration, Ted's Gardin, Robert's Raleigh and Cyclotourist's Rivendell Road - Enjoy! As I mentioned over on the Cyclofiend.com blog, this past year was going to be a crusher. I pedaled my way through it and seem to have popped out the other side. I've got a few left in all three styles. I think for this year, it's time to redo the most popular design (hands-down the original "One Cog - Zero Excuses") in a new color. And while we did sell through most of the other two designs, they were a bit more sedate in their sell-through, and thus will be retired. Yeah, that one's kind of for me. Last year was a little underwhelming, mileage-wise, and as the final bits of mywork project played out, I had to quit cold-turkey in mid-December, not clambering back aboard until the beginning fo this month. Yikes! 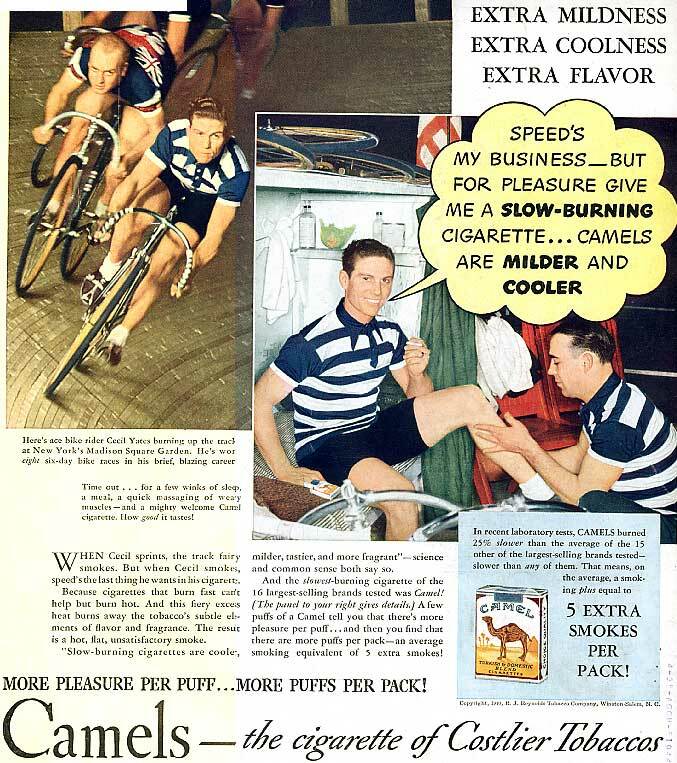 Don't know if I mentioned the Rivendell Bicycle Works PDF archive page which I'd cobbled together a while back, but there are a couple new things there. If you sent in photos and a description, make sure you check here or over at the Cyclofiend blog for the most current updates. I've started tagging on this little helpful widget to each gallery page. It lets you email other bike junkies directly from the page - no more copying of the url necessary! You can also share it via Facebook, your blog or any number of other interwebby locales. 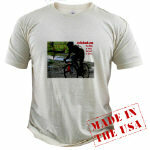 I've added a twitter feed down a bit in the center of (it should show up right below my t-shirt photos.) My plan is to use this announcements of site updates. You can follow along here if you are a-twittering, or there's an rss feed as well. This year ended a little out of whack - a few bicycles submitted in 2009 did not get posted that year, so those will be included in the 2010 totals. Total Gallery submssions in 2009 (not including "Revisions"): 238 Bicycles -thank you one and all! There are a total of 1213 bicycles presented in the four main galleries at the end of 2009. 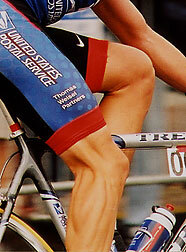 "I've Got Downtube Shifters...And I Know How to Use Them!" 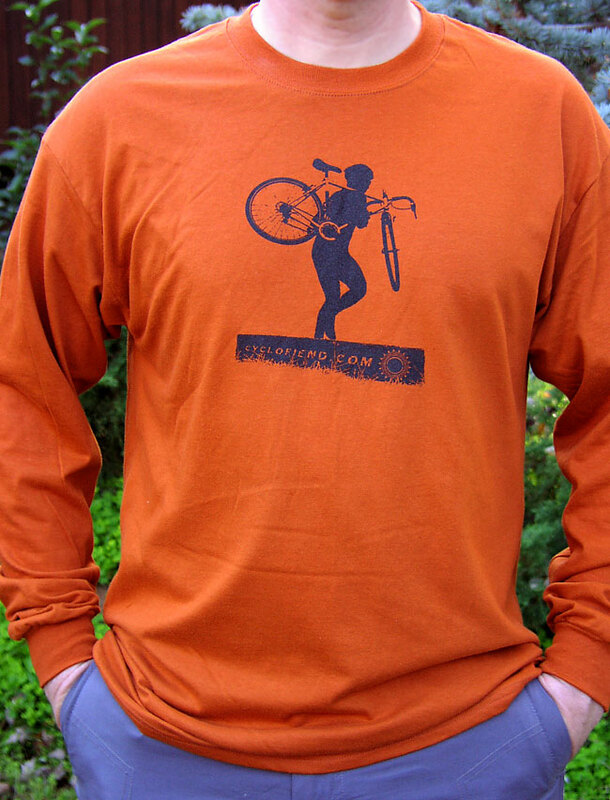 Cyclocross "More Cowbell" Long-sleeved T-shirts have arrived - now available to order - check 'em out here! They will continue to expand, as I've got more things to get scanned and added, but there are now model-specific pages for the Atlantis and Romulus/Redwood models. Also, I've redone the file architecture to make links a bit simpler - each one can be found by adding the model name to "cyclofiend.com/rbw/". For example, you could use cyclofiend.com/rbw/quickbeam rather than using the ".html" ending as before. (They are now separate directories rather than specific pages). This may matter more to me than you, but it should simplify things a bit. (The old links will just redirect, so you don't need to edit any links you may have. A few people have indicated that they'd rather not have a link to the their email address in their gallery page. That can certainly be arranged, and I'd updated the FAQ section earlier this year to reflect that. The default is that I include it, but other options are available More here. Thanks to everyone who has taken the time to send in all the photos and descriptions - it wouldn't be possible without your efforts! I want to thank those of you who have taken the time to support the site through your donations. As the word has gotten out about the Galleries, my bandwidth usage has grown noticeably, and I've had to upgrade the server package to stay ahead of it. Even a few bucks through the Donation button below helps out. Thanks too for your emails - I appreciate all your kind words about the site. Current Classics and Single Speed Galleries now have Thumbnail Preview Pages, where I've aggregated the images. Here's how to send yours in! racks & fenders & more. 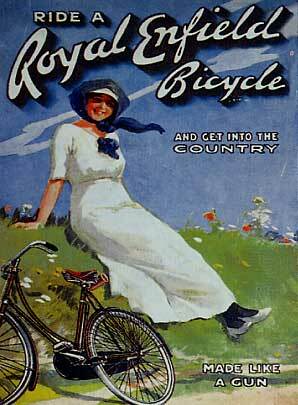 Add Your Bicycle! It's easy! 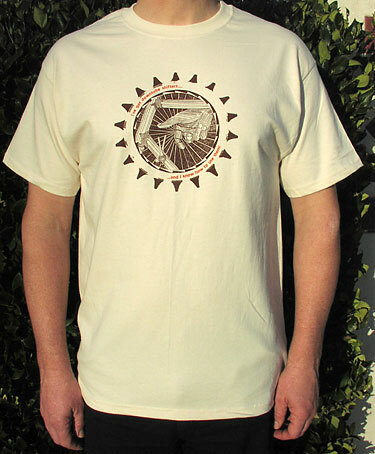 Limited Sizes - FREE SHIPPING! 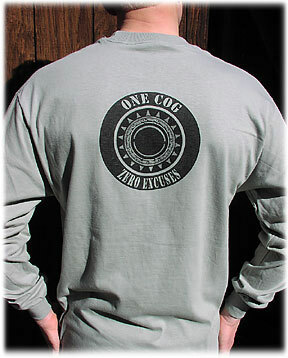 "One Cog - Zero Excuses"
FREE SHIPPING WHILE THEY LAST! Total Gallery submssions in 2008 (not including "Revisions"): 296 Bicycles -thank you one and all! There are a total of 975 bicycles presented in the four main galleries. Total Gallery submssions in 2007 (not including "Revisions"): 335 Bicycles -thank you one and all! There are a total of 675 bicycles presented in the four main galleries. 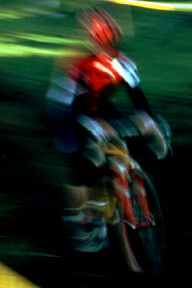 Total Gallery submssions in 2006 (not including "Revisions"): 246 Bicycles - more than twice that of the previous year! 2007 "New Year's Day Bonus! ", thanks to Raoul D.
Total Gallery submssions in 2005 (not including "Revisions"): 94 Bicycles! Rivendell has posted the interview they did with him in RR25 a few years ago. All across the net, memorials are blooming and recollections shared. We owe him a debt of gratitude and should feel lucky to have enjoyed his precense. His family have now posted information for memorial gifts. There have been a few reports of Sheldon Brown Memorial Rides which took place on April 1st, which was Sheldon's day of product prankery. Harris Cyclery has managed to act as a KOF for this year's offering. 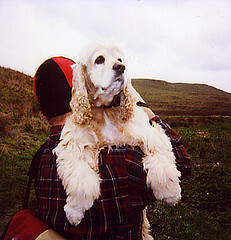 I'll no longer have to carry Tashi over the mud, but I'll always carry her in my heart. 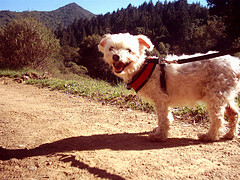 Hula had more big-dog attitude than any small dog I've ever known. A post on the iBob List prompted this little gallery. Want to show off your tool board? Check out how other iBobs deal with a 6 foot ceiling? This is the place! Here's where you can find racing bicycle - with a twist: just bikes for racing cyclocross. Not all of them actually get raced, but they could if they wanted to. Either way, they definitely get dirt under their nails. One gear at a time. It's interesting how many of the bicycles so are are actually single speed roadsters - I thought that most would be mtb's, but one-geared coastables seem reasonably popular on the roadways! Also viewable by Thumbnail Image. To say there is a wide variety of bikes in this section just doesn't come close. Some are adapted, some are purpose-built, some just ended up mutating into a Working Bike. Some would argue that all bicycles are working bicycles, but hold your judgement until you view the Working Bikes Gallery. Most of my bike-centric natterings tend to show up on the iBob list or the RBW Onwer's Bunch Group, so the blog tends to some ride reports, gear reapir details, other thoughts and musings, more nattering about projects and gear, some stuff that is decidedly non-cycling like dogs, orchids and the ongoing record of music which pops into my head while riding. There's a fair amount of RBW stuff here, and I've still got a good deal to add to it. This section of the site began because it was hard to find photos of Rivendell stuff on their site, but since the redo a while back, it's started to focus more on the different models, current and past, and mines through the Rivendell Readers, Catalogs, Flyers, Mailers and other ephemera which I've collected ever since GW smacked me upside the head with a Reader and said, "Hey, you like more interesting bikes, check this out.!". After some discussions on the iBob list regarding model years, I started working on a reference page for Ibis Bicycles - which contains scans of catalogs and other stuff which came from The World According to Chuck Ibis. Last Addition: Cousin It & Touche Tandem catalog scans from 94/95. 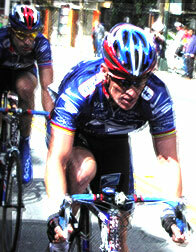 I've also added a couple of pages to the riding notes section. It's not much to speak of yet. Thanks to everyone for their kinds words of encouragement - this is great fun! PS - I may not keep this on the site, but check out th "Ow!" section... It's not quite what you'd thnk. For permission please email: pix @cyclofiend.com Thanks.